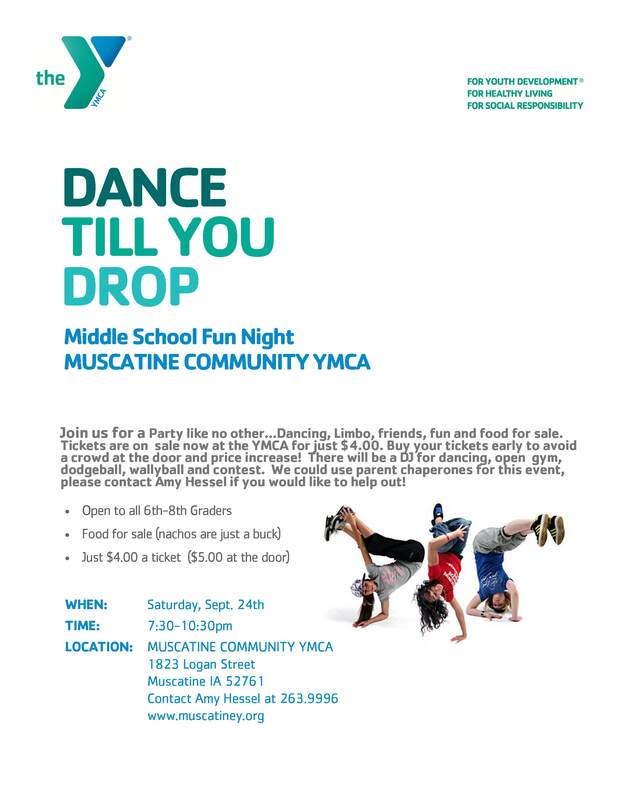 The Muscatine Community YMCA is hosting a Middle School Fun Night on Saturday, Sept. 24th from 7:30-10:30pm. There will be a DJ for dancing, open gym, dodgeball, wallyball and contests. Tickets are on sale now for just $4.00 or $5.00 at the door. We could use parent chaperones for this event, please contact Amy Hessel at the Y, if you would like to help out!